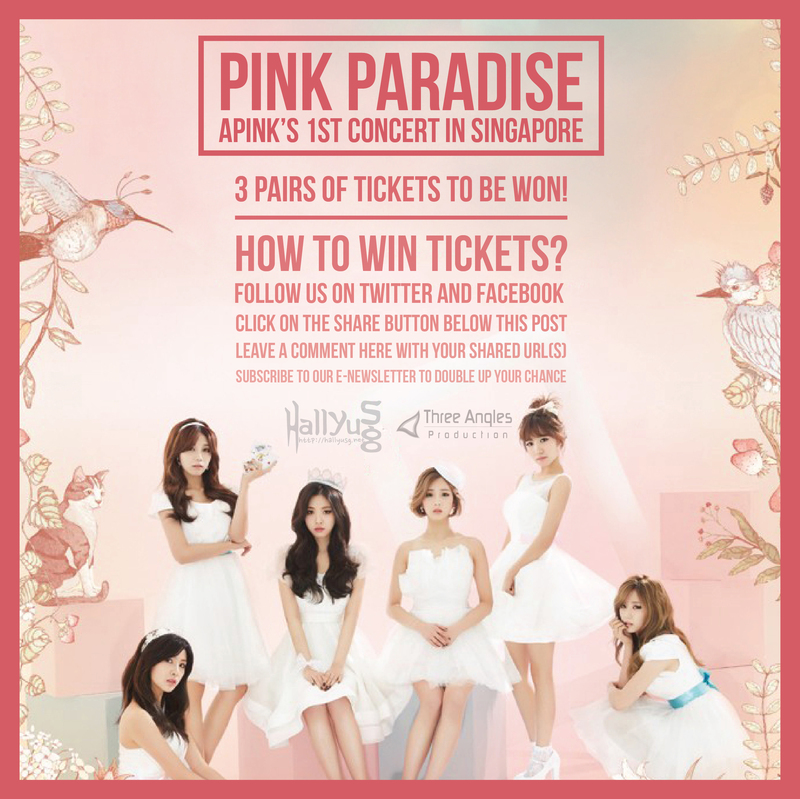 HomeGiveaway[GIVEAWAY] WIN tickets to APINK Pink Paradise Concert in Singapore! We hear you, Pink Pandas! We’re less than a week to welcome APINK to Singapore for their 1st solo concert here and we honestly can’t wait. If you have gotten your tickets, you will be in for a treat because the lineup will be really amazing. 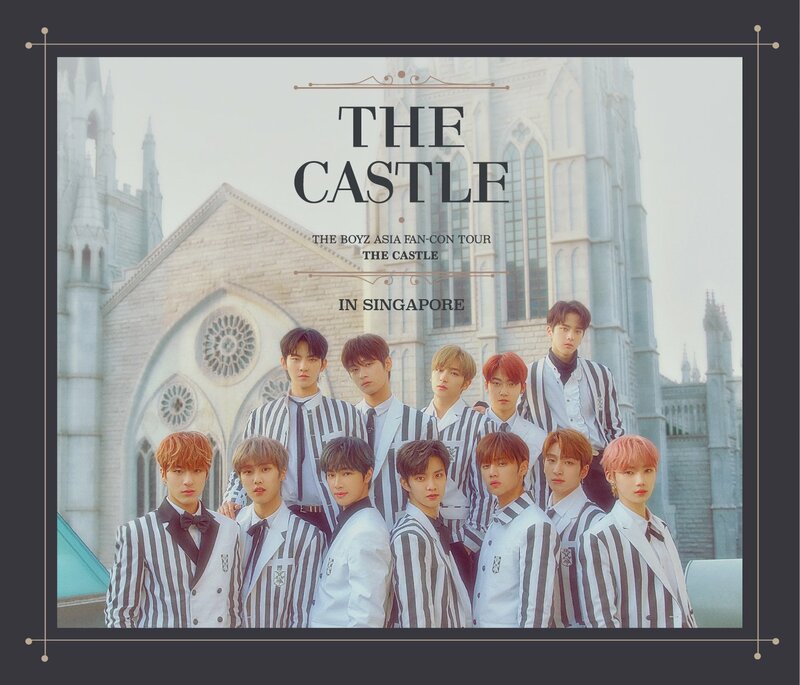 For those of you who would like to purchase the tickets, hop over to SISTIC and grab them while some good seats are still available. Good news is, we will be sending some fans of APINK to catch the girl group’s concert on March 22nd, courtesy of the concert organiser Three Angles Production. The rules of our contest are always simple, read on and find out how to win tickets to APINK’s 1st Concert in Singapore! We will be giving away a total of 3 pairs of tickets (Cat 3 or 4) to 3 Super Fans of APINK! Multiple entries are welcomed, so start clicking and sharing away! But no spamming please. You know the rules. 😉 Share the post via Twitter/Facebook/Tumblr/other available platforms, but just remember to copy and paste your shared URL(s) under this post so that we can keep a lookout! Don’t forget to unprivate your social accounts in order for us to contact you if you’re one of the selected winners. Contest will end on 18th March, 23:59hrs and winners will be announced on the following day via our social media accounts. For more information of APINK Pink Paradise in Singapore 2015, check out our previous post HERE or visit https://www.facebook.com/ThreeAngles. HallyuSG is proud to be the Official Supporting Online Media Partner for APINK Pink Paradise in Singapore 2015. Really hope to win the tickets to Pink Paradise!!!! DYING HARD TO SEE THEM!!! PLEASE LET ME WIN!!! PARK CHORONG YOON BOMI JEONG EUNJI SON NAEUN KIM NAMJOO OH HAYOUNG APINK!!!! https://twitter.com/JINHAO_/status/577089046784012288 hope i can win a pair of tickets! Would be really awesome if I get to win these! Allow me to see you beautiful people live please! 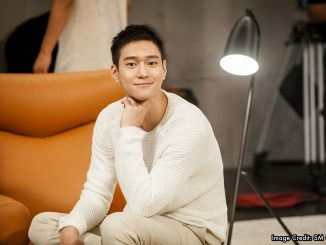 Reblogged this on TNgLE – Just Kpop.